Fall in love with workouts all over again with the Vibrapower HIIT, available in two ultra-stylish colours, Rose Gold and Charcoal! 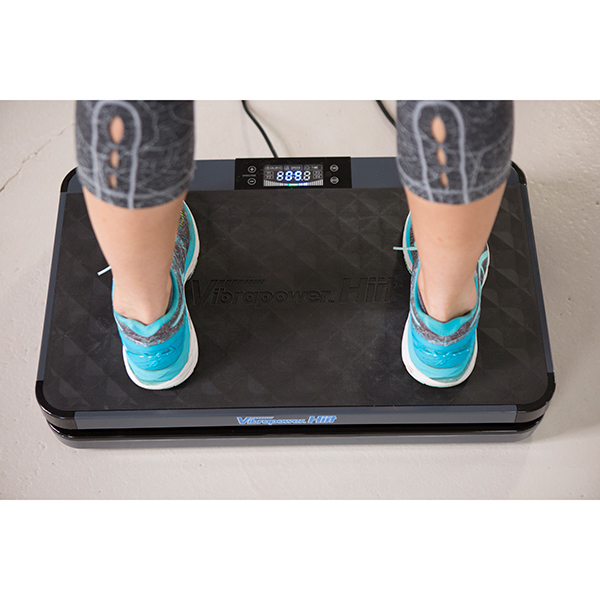 With 4 High Intensity Interval Training programmes that are specially designed to go from high speeds to low in intervals, a manual mode and 20 speed settings, the Vibrapower HIIT has the flexibility to suit your workout needs, even at home! It’s made with built-in Bluetooth and speakers, allowing you to stream your favourite music from any Bluetooth enabled laptop, tablet or phone without the need for headphones. 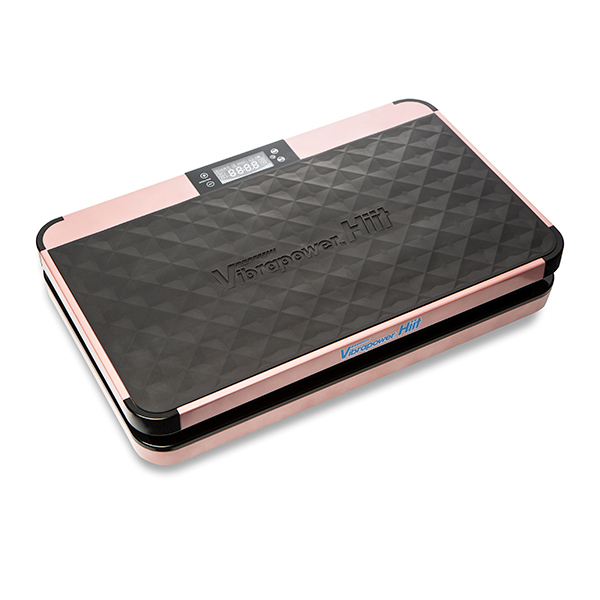 It also features a screen that displays calories, time, speed and scan to monitor your progress throughout. It’s easy to move and store too once you’re done, making it perfect for small or busy homes. 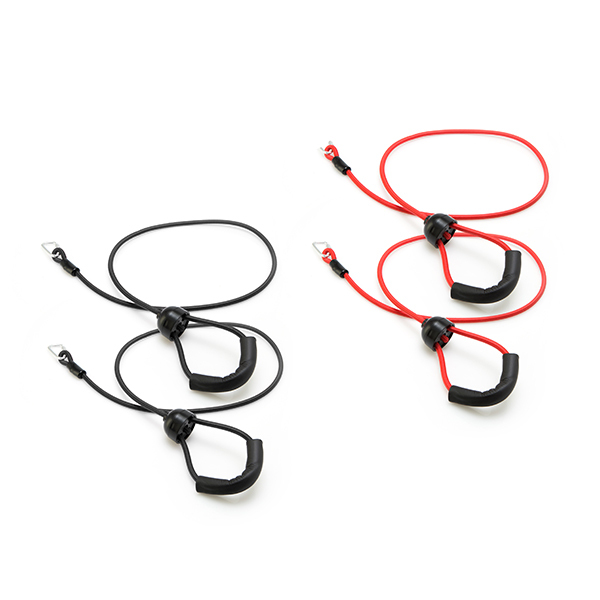 The resistance bands come in two colours, which correspond to how much resistance you’d like to add. Opt for black to keep it lighter yet a little more challenging or go for red to work up a sweat with a more advanced workout! 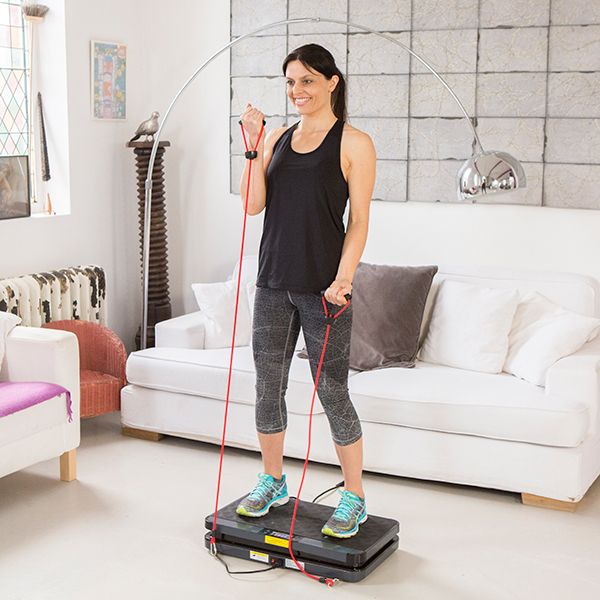 The Vibrapower HIIT's platform produces an oscillating motion, similar to a see-saw, where it lifts one side of the body whilst lowering the other. 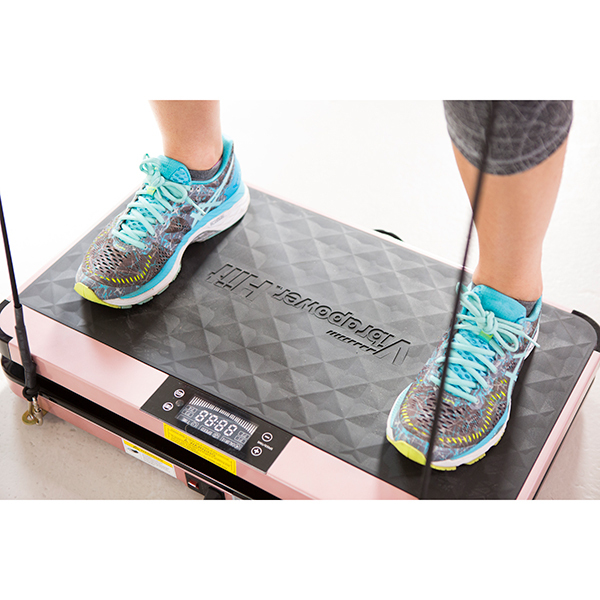 Exercising on a moving platform like this helps to not only work your core muscles, but also your supporting muscles for a fuller body workout. 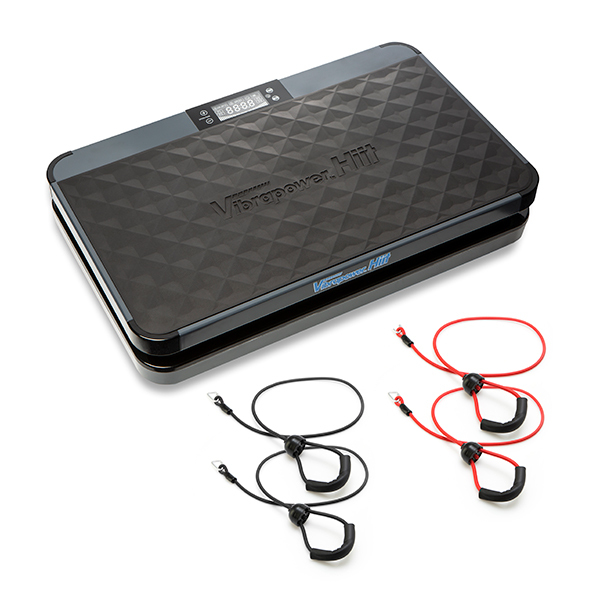 Discover the incredible features of the Vibrapower HIIT, simply watch the short video below. Max user weight 120 kg (18.8 st). HIIT training involves quick, intense bursts of exercise followed by short recovery periods. This type of training gets and keeps your heart rate up. High intensity workouts increase the body's need for oxygen and create an oxygen shortage that causes your body to ask for more oxygen during recovery. The post-exercise period is called ‘EPOC', which stands for excess post-exercise oxygen consumption. This is generally about a 2-hour period after an exercise bout where the body is restoring itself to pre-exercise levels, and thus using more energy. Because of the vigorous contractile nature of HIIT workouts, the EPOC generally tends to be greater. This is the reason why HIIT workouts can help you burn more calories. Best of all, HIIT training can be adapted for people of all fitness levels, making this plate a brilliant choice for anyone and everyone. 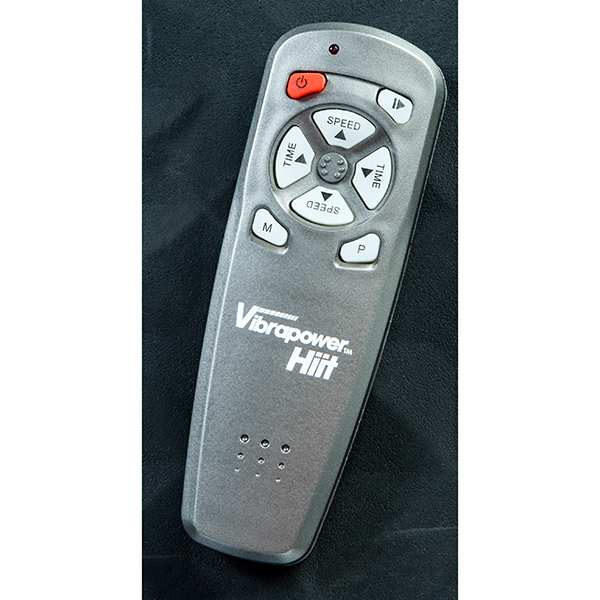 Click here to download the Vibrapower HIIT instruction manual. 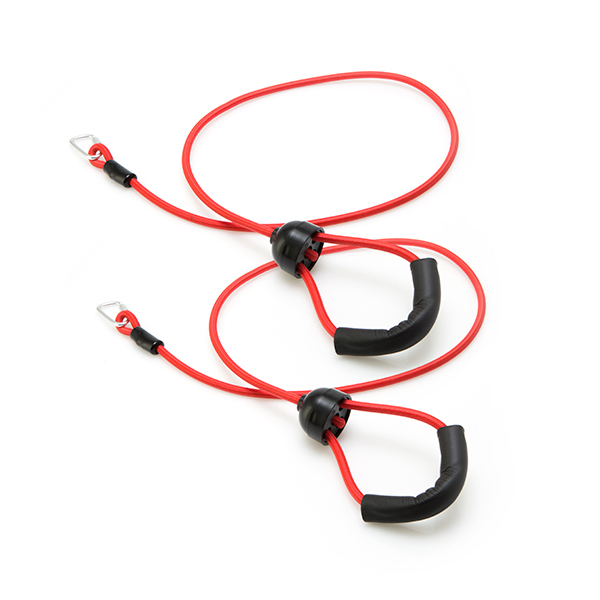 Vibrapower HIIT is NOT suitable for use by children. 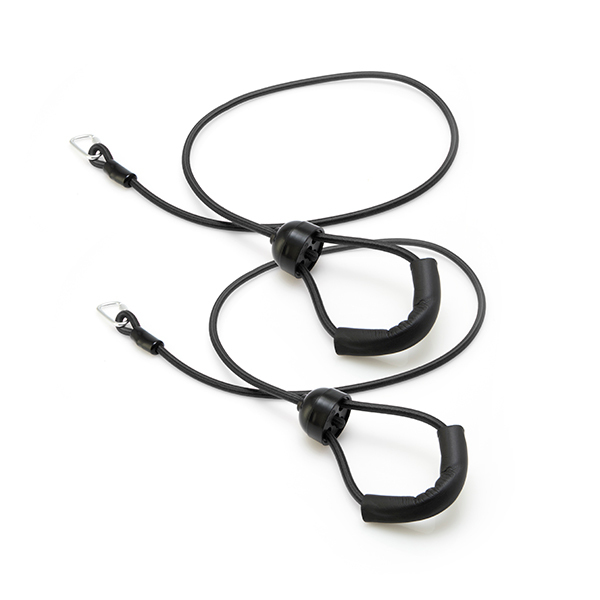 Do not let the Vibrapower HIIT get wet with any type of liquid. In addition, do not use the Vibrapower HIIT while your hands are wet. 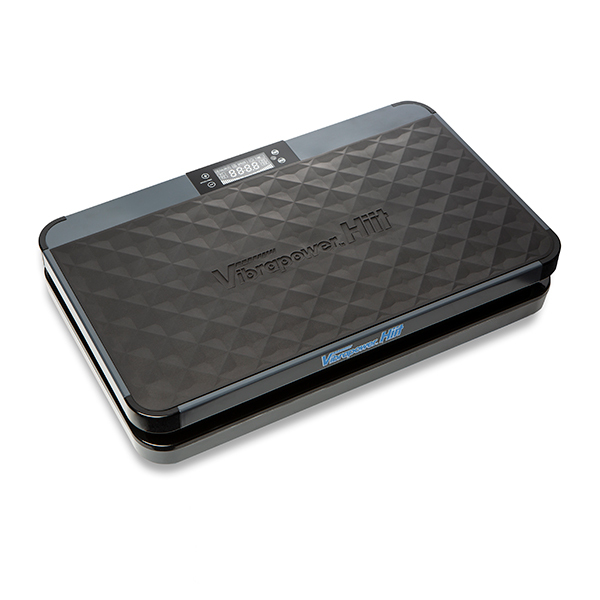 Only use the Vibrapower HIIT on a surface that will not be dented or damaged by the weight of the machine. 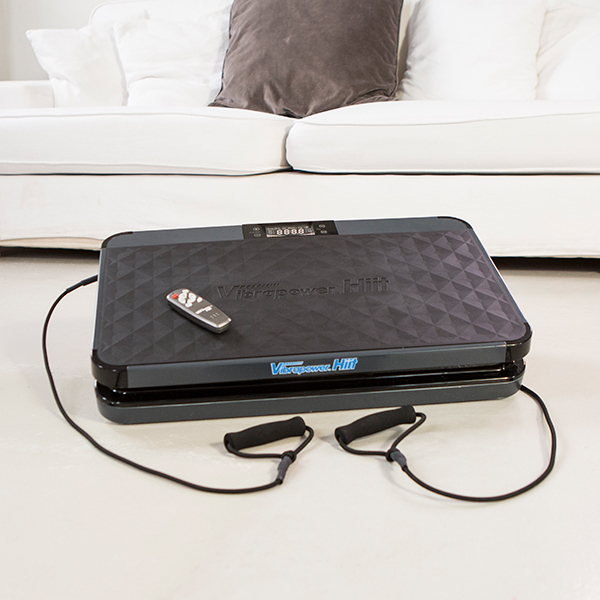 Place the Vibrapower HIIT on an old cloth or training mat before use, to avoid marking the floor or carpet. 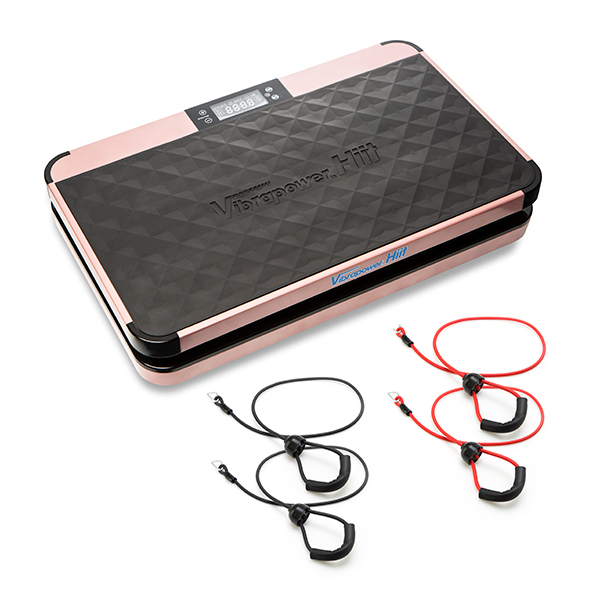 The voltage and electrical circuit to which the Vibrapower HIIT is connected must always comply with the laws in force. Instruction concerning the use of the appliance by a person responsible for their safety. Children should be supervised so that they do not play with the appliance.